I think if every weekend was like this one, I’d be burnt out from racing within a month! This weekend was a back to back event weekend, starting with a Test and Tune day on Saturday, followed by a full points event. Both events were hosted by SCCA NER. Funny enough, the first thing almost every driver went to was the small, timed course, leaving everything else relatively empty. I stayed in the offsets for the entire day, working on my looking ahead, car positioning, and throttle control. Met a good guy I’ve talked to on RX8 club for a while, Broda! He is the owner of Brian Goodwin’s old blue RX8, running a rare set of Enkei RP03 18x9 +40 with the new Toyo R1R. It was really fun to sit in together, drive eachothers cars and really just learn from one another and a few other drivers. I highly recommend test and tune days to anyone who wants A LOT of seat time and plenty of practice. Sunday was a full points event that featured many of the elements from Saturday, as well as many quick sweeping turns, but with a lot of high speed sections surprisingly. I even managed to top out 2nd gear twice in two sections, which is pretty quick for a autocross course. The results (final results, pax time results, final raw time results) were pleasing, but I would’ve liked to see some faster times, even if I stayed in the same position. I know I can be faster in some sections, especially if I keep looking ahead and positioning my car properly. I started the day with a 63’ and ended with consistent 61’s, with a final time of 61.6’ clean. I came third in my class of eleven (including SSM). The top two drivers are co-driving a drift, raced out 240 SX with R compounds, and scored a 55’, and the other driver a 57’. 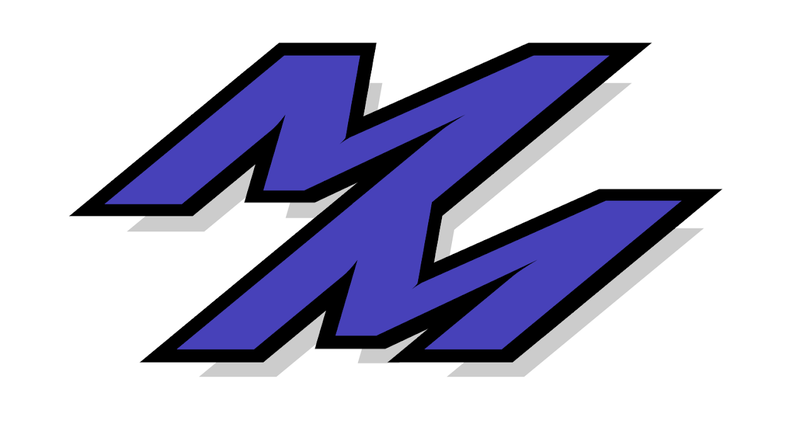 Hopefully I’ll be able to keep up with them in up coming events, regardless of the R compounds on their car. All in all, for raw times, I came in 56th out of 119 for the day. With pax, I came in 68th out of 119. My spirit isn’t broken though, regardless if the top guys are running R comps with a lot more torque and power, because I know I can be faster. And if I know I can be faster with my current setup, just wait until we see all the various parts that are coming this month for my car. Stay tuned. 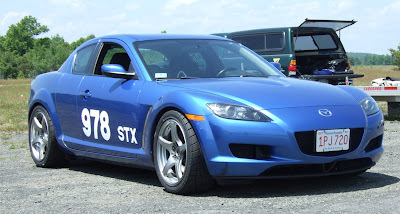 Here are some of Mike's videos of his run in his stock RX8 running in Bstock class.